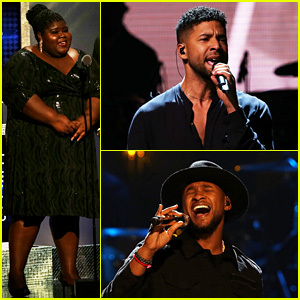 Empire‘s Gabourey Sidibe and Terrence Howard present the show’s executive producer Lee Daniels with an award on stage during the 2016 BET Honors held at the Warner Theatre on Sunday (March 5) in Washington, D.C.
Also in attendance at the huge event were Jussie Smollett, Usher, Janelle Monae, Mellody Hobson with husband George Lucas, Toni Braxton, Fantasia Barrino, Patti LaBelle, L.A. Reid, and many more. The honorees that evening included Eric Holder, L.A., Mellody, Lee, and Patti. Huge congrats to all! Be sure to watch the BET Honors on March 14 at 8pm EST! 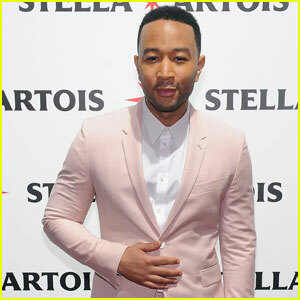 John Legend sports a killer pink suit while arriving ahead of his performance at the Stella Artois Stars Unveiling on Wednesday (December 9) in New York City. That same night, Taraji and Terrence’s White Hot Holidays special aried Fox, and featured a duet of “O Holy Night” between John and Patti LaBelle. Watch below! 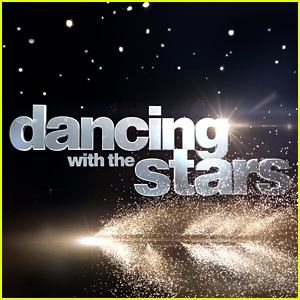 'Dancing With the Stars' Finale Group Number - Watch Video! The season finale of Dancing With the Stars kicked off with an energetic group dance number to reunite all the contestants from this year. Featured in the number are the three finalists – actress & singer Rumer Willis, R5 singer and actor Riker Lynch, and combat soldier Noah Galloway – as well as the nine contestants previously eliminated. RECAP: See all the scores from the Dancing With the Stars finale! Returning for the finale were LMFAO singer Redfoo, model Charlotte McKinney, football player Michael Sam, actress and author Suzanne Somers, singer Patti LaBelle, The Hunger Games actress Willow Shields, Shark Tank panelist Robert Herjavec, The Bachelor star Chris Soules, and Olympian Nastia Luikin. Watch the group dance number video below! Rumer Willis leads Team Trouble into battle while shooting the package for Dancing With The Stars on Friday afternoon (April 17) in Los Angeles. The 26-year-old actress was joined by her pro partner Val Chmerkovskiy, along with teammates Riker Lynch and Allison Holker, plus Patti LaBelle and Artem Chigvintsev, and Chris Soules and Witney Carson. “Whose ready for #teamtrouble? #DWTS,” Rumer captioned with a side shot of the group on Instagram. Rumer is also seen arriving for her individual practice at the studio earlier in the day. 'Dancing With the Stars' 2015 Premiere Recap - See the Scores! The 20th season of the hit competition series Dancing With the Stars kicked off on Monday night (March 15) and we have all the scores for you here! The cast this year consists of actress Rumer Willis, The Bachelor star Chris Soules, The Hunger Games‘ Willow Shields, football player Michael Sam, actress Suzanne Somers, singer Redfoo, model Charlotte McKinney, teen star Riker Lynch, gymnast Nastia Liukin, Shark Tank businessman Robert Herjavec, singer Patti LaBelle, and soldier Noah Galloway. Leading the pack was Rumer with a score of 32 out of 40 and in last place were Charlotte and Redfoo, both with scores of 22. 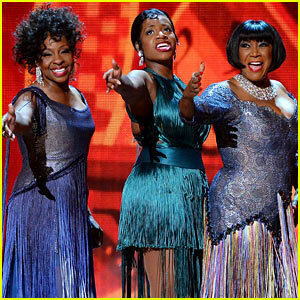 Fantasia Barrino, Gladys Knight, and Patti LaBelle belt out “Sunny Side of the Street” from their musical After Midnight during the 2014 Tony Awards on Sunday (June 8) in New York City. The trio of fabulous singers opened the show the raucous applause from the audience. Watch their performance below! After they sang, their co-star Dule Hill hit the stage to dance a number from the show. After Midnight is nominated for Best Musical tonight at the show. We’ll have to watch to the end to see who takes home the prize!